The WebSitePulse Performance Reports will measure the websites’ uptime and response time as the most important metrics for the availability and the reliability of any web-based operation, critical for the End Users' overall online experience. Measurements of web transactions will be made every 15 minutes, simultaneously from 3 different monitoring locations. In-depth analytical information is also collected and stored in the WebSitePulse system for future references. The Reports reflect the most common performance criteria: response time and availability - but in-debt analytical information is also collected and stored in the WebSitePulse system for future references. 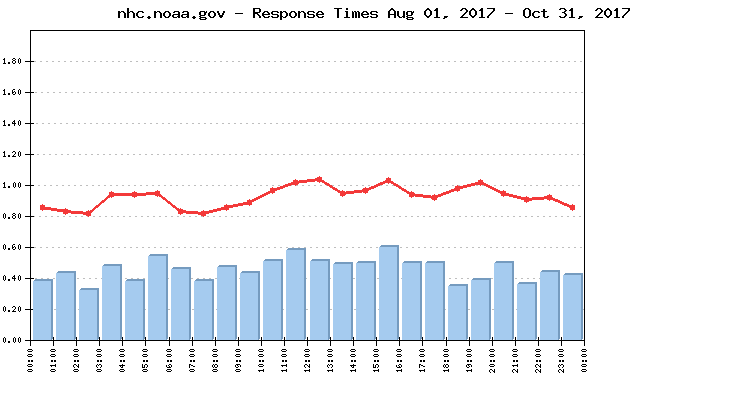 The daily Average Response time from all monitored websites was 0.977 sec. 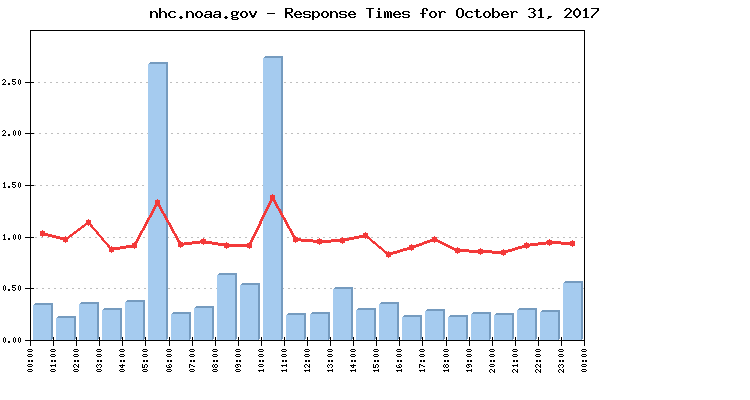 The Average Response time as measured from the US East Coast (Trumbull, CT) was: 1.000 sec. The Average Response time as measured from the US West Coast (San Francisco, CA) was: 1.065 sec. The Average Response time as measured from the US Central was (Chicago, IL): 0.866 sec. The Best Response time measured from US East Coast (Trumbull, CT): 0.570 sec. The Best Response time measured from US West Coast (San Francisco, CA): 0.405 sec. The Best Response time measured from US Central was (Chicago, IL): 0.295 sec. The typical shopping transaction took the least time for nhc.noaa.gov visitors - 0.525 sec., while the visitors of redcross.org had to be the most patient, as the shopping transaction there took in average of 1.962 sec. 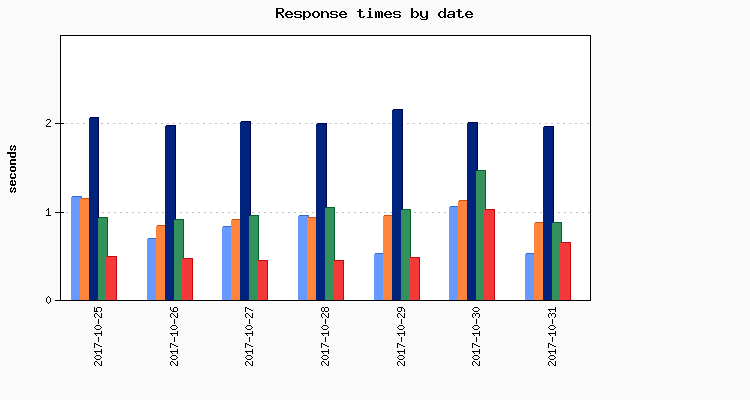 One monitored website delivered above-the-average response times for its transactions, while four of them demonstrated below-the-average daily performance. No events of particular importance or possible negative impact on the online visitors' interaction with the Websites included into the 2017 Hurricane Season report were detected during the reported period, and according to WebSitePulse, the Group delivered the expected levels of End-User experience and Customer satisfaction.